Live brand experience and marketing agency Wolfelive has won a series of new clients including Pets at Home, Qatar Airways, Stagecoach and the Institute of Directors. Wolfe worked with Pets at Home to activate its sponsorship of the Family Pet Show, hosted at Manchester’s Event City, and the agency is now working on the delivery of future activities for the retailer. Manchester-based Wolfe was also appointed to deliver the launch of Stagecoach’s new app, which allows travellers to check real-time bus departure time on their phone. The campaign was named #LiveTimeMyTime and asked the public what they would do if they had more time to spare in the morning, with a bus stop-style photobooth being created in Manchester’s Piccadilly Gardens. Work with Qatar Airways on the launch of its A350 route from London to Doha and the Institute of Directors' Regional Conference and Director of the Year Awards is also underway. 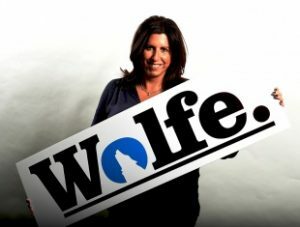 In addition, Wolfe has been retained to deliver events including the FD of the Year Awards, the Big Chip Awards and its own MBNA Northwest Football Awards.